9th Annual ASCS Hockett/McMillin Memorial - SAT. Saturday Night is the fourth and final apperance of 2019 at the Diamond of Dirt Tracks by the Lucas Oil ASCS Sprint Car Dirt Series National Tour as the top winged Sprint Car Drivers in the country battle for a $10,000 to win main event. 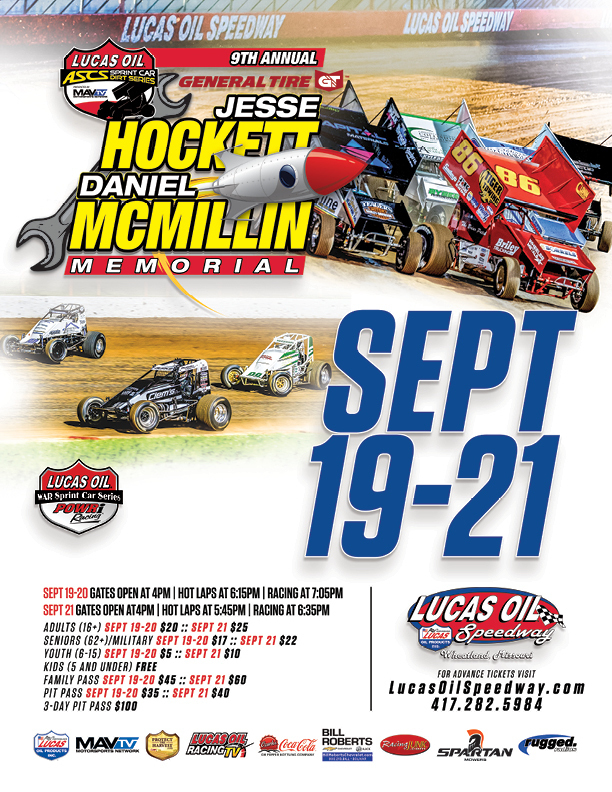 The POWRi Lucas Oil WAR Sprints will also be running in memory of Jesse Hockett and Daniel McMillin. This will be a complete show in both classes.